A break from their previous records, this album is all about heartache. First published in The Peak. There are no upbeat songs about the radio to be found here, but there is plenty of pour-your-heart-out, passionate rock ‘n’ roll that shows another side of their sound. The aggressive first single, “Rollin’ and Tumblin’” is a cathartic ode to the angry post-breakup state of uncertainty and depression. Fallon sings about wondering which pills to take, breaking his own heart again, and rolling and tumbling into a state of depression. 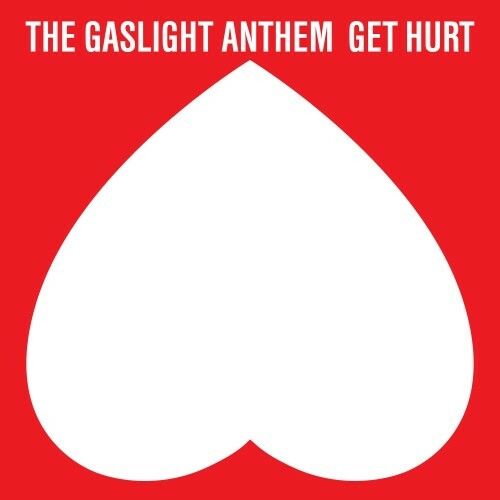 “Get Hurt” was the first single that I came across on the radio, and it being such a shift from their previous album, Handwritten, I wasn’t sure what to think of it. After a few listens I began to understand and appreciate the meaning behind the song, and although it’s still not my favourite off the record, I think it’s an example of the strong, personal songwriting found throughout the album. My favourite track, “Break Your Heart,” is one of those delicate songs that could bring you to tears under the right circumstances. You can hear the emotion flowing from Fallon as he sings “I trusted somebody way and back when. And I loved her like fire until it drove me insane.” Unlike any of their previous work, this is a beautiful song that shows the depth of their range as a rock group. Along with their clever, emotive songwriting, this melange is what makes their work so compelling.